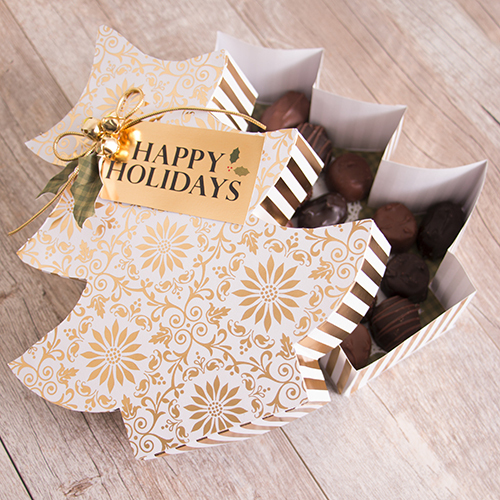 Did you happen to see the fun Christmas tree-shaped chocolate gift box that we posted on our Instagram page this week? 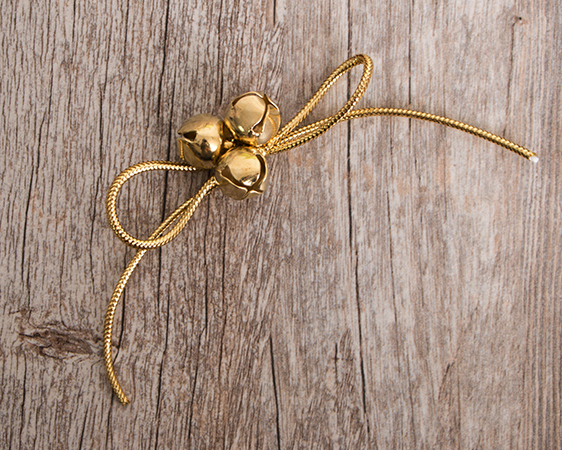 We wanted to give you more details on just how it comes together. Here we go! 1. 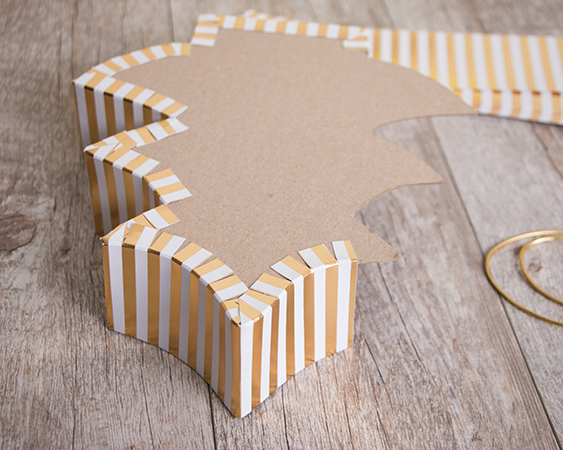 Cut two tree-shapes from chipboard using templates one and two (please email us for the templates!). 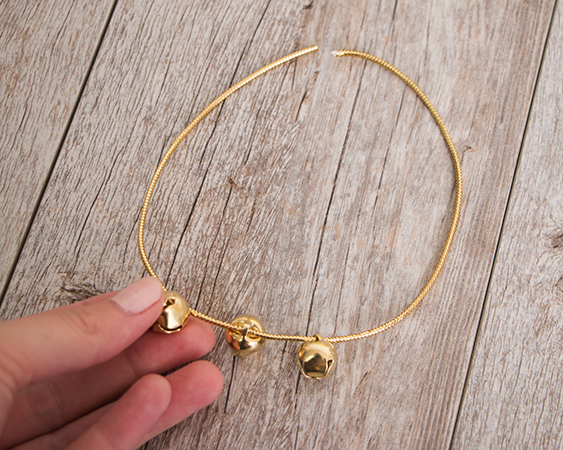 One will be slightly larger than the other. 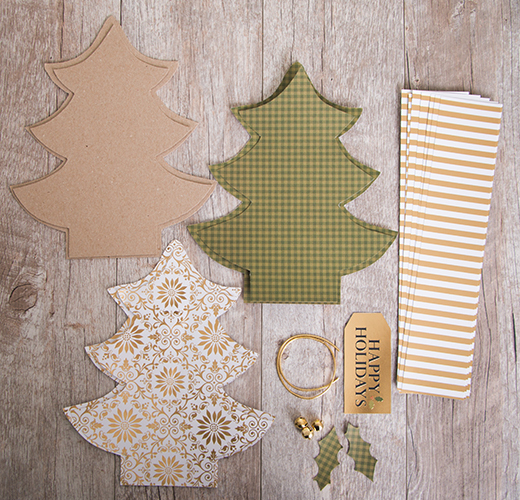 Cut two of each size tree from the Christmas Plaid Stack for the inside and outside of both lids. 2. Cut six to eight 2 3/4" strips from another Christmas Plaid paper. Adhere the strips together to make two long strips. 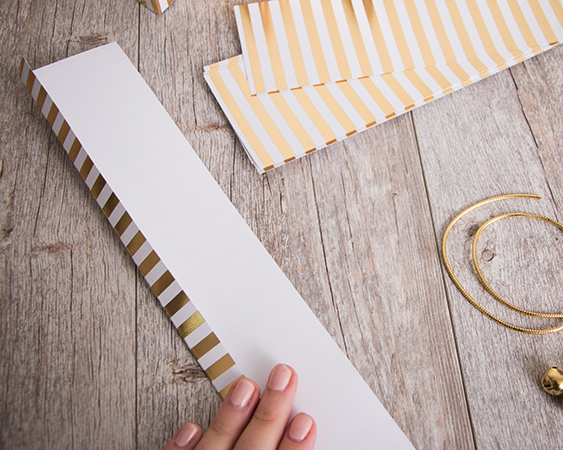 Following Template 3, score and fold each strip at 1/2" along the entire length of the strips. 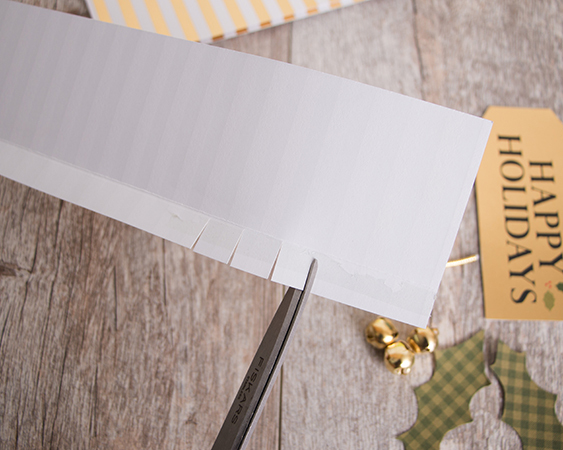 Cut 1/2 inch slits along the edge to the fold line creating small tabs. 3. Line up the fold line with the edge of the tree-shapes. Adhere one strip to the small tree and the other strip to the large tree by bending the tabs over the top surface and adhering in place. 4. 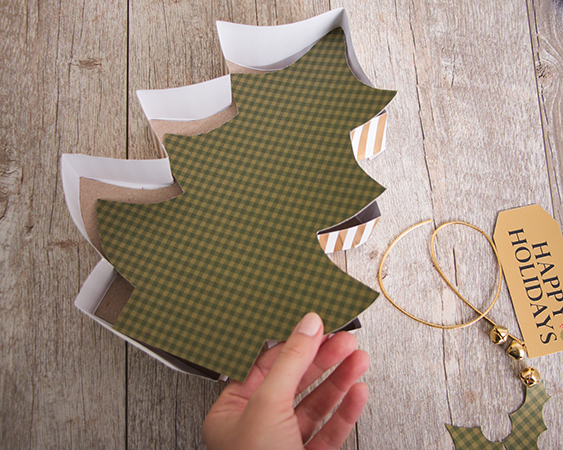 Adhere the paper tree-shapes from step 2 to the inside and outside of each tree. 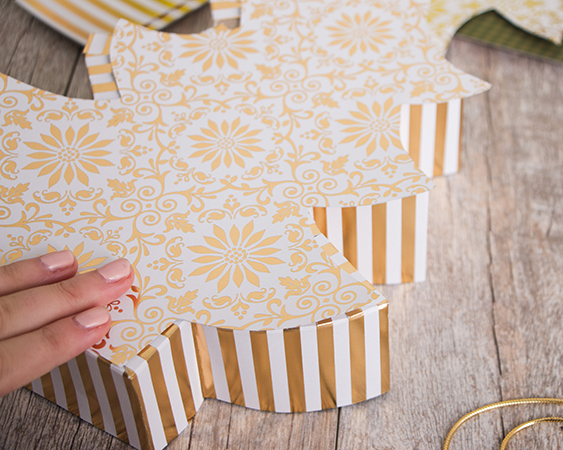 The small tree should fit inside the large tree creating a finished box. 5. 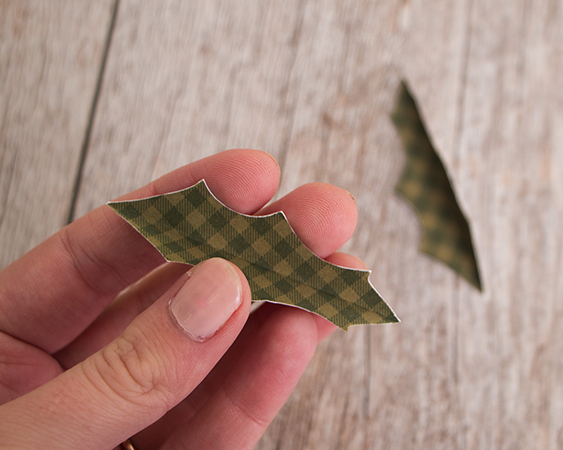 Cut holly leaves from the paper using Template 3. Score and fold on the dotted lines. 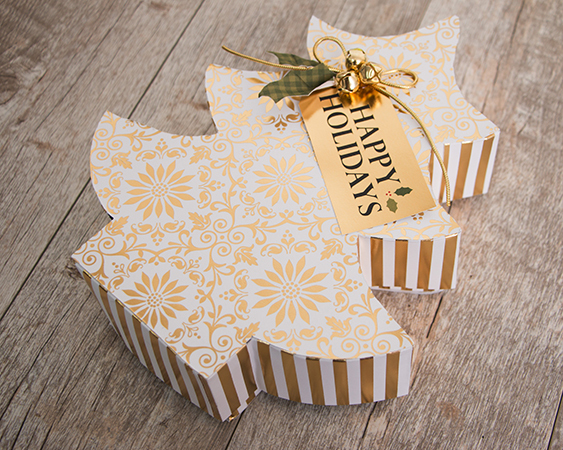 Embellish the tree box with a tag cut from the Christmas Plaid Stack, paper holly leaves, and jingle bells gold cord and tied in a bow. 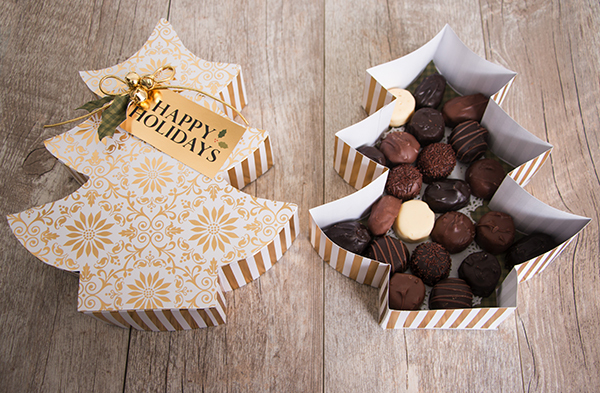 Line the box with parchment paper and fill with a favorite treat.